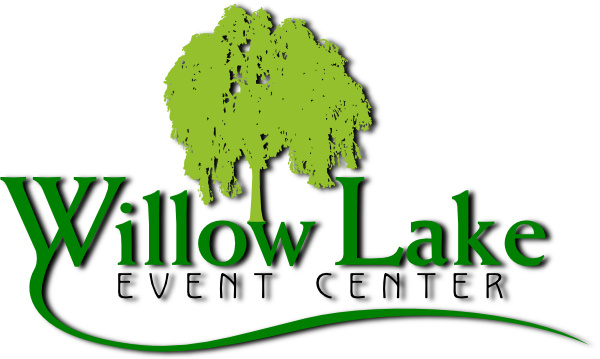 Willow Lake Event Center: Hints, tips and other important information. Have questions not answered on this page? Please use our Contact Form. premises if violations of this policy are abused or neglected. Please, NO FIREWORKS or SPARKLERS (however, glow sticks are fine). In addition, we must prohibit SILLY STRING, POPPERS, CONFETTI (either paper or glitter), RICE, and SIDEWALK CHALK. NO GLASS BEER BOTTLES and the LIKE (cans, plastic bottles, kegs, and margarita machines are OK). Wine bottles and liquor bottles must be kept inside the building or at a serving station outside. Please keep in mind, your guests are your responsibility. DJ AND BANDS MUST KEEP MUSIC VOLUME WITHIN REASONABLE LEVELS (75 – 85 decimals is optimal). NO NAILS or SCREWS in wood. NO LIVE CANDLES, EXCEPT FOR THE UNITY. When using HOT GLUE, please protect the surface you are working on. NO IRONING ON ANY WOODEN SURFACES. CHILDREN UNDER 18 MUST BE ACCOMPANIED BY A RESPONSIBLE ADULT AT ALL TIMES. We don’t mind children if they mind you! CHILDREN are NOT permitted to be near the Lake (both at the GARDENS and BARN venues), or be on the Dam (at the BARN VENUE) at anytime without an ADULT. No Rock Throwing!!! NO INDIVIDUALS ARE ALLOWED to climb, walk or play on retaining walls, be in the rose gardens, on the waterfall area or be in the creek bottom (at the GARDENS venue). The property across the dam at the Barn Venue is private property — NO TRESPASSING. Contract signer is responsible for all damages to WLEC during time of Venue Rental.